Television was hardly a reliable broadcast medium in the early 1930s. But that didn't stop companies from speculating about TV designs of the future. Like this Marconi-brand "radio set of 1960." New technologies often adopt the terms and design characteristics of the tech that came before them. 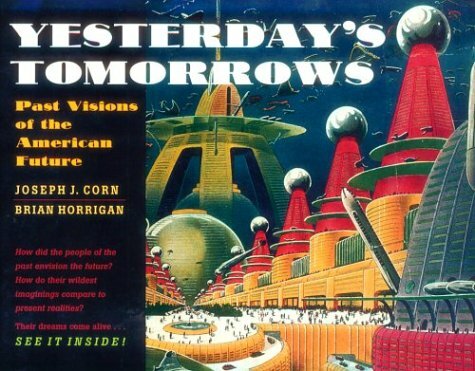 So this wasn't simply the television set of tomorrow, it was the radio set of tomorrow — now with TV! This amazing bit of Depression-era futurism was shown off at the 1933 Radio Exhibition at the Olympia exhibition space in London. The most intriguing aspect of its design is the world map sitting just below the screen. One imagines that's how you might dial in radio and TV programs from around the world — a vision of worldwide broadcasts from an age when TV was little more than an experimental toy for the rich. But designs like these both excited and terrified people in the radio industry. By 1935, people with a financial interest in radio's future were showing signs that they were much less enthusiastic about television. Radio manufacturers rightfully worried that if people started buying TVs en masse, why would anyone want a new radio? There were no television demonstrations of any kind at the Wireless Exhibition at Olympia in August 1935. It appears that the sale of radios had slumped in Great Britain with the announcement of the start of a television service in the London area. The British Radio Manufacturers Association had announced that no television receivers or kits of parts would be allowed to be displayed. Despite the reservations of many in the radio industry, the development of television marched on, albeit quite slowly. And predictions for what TV sets might look like in the future — like this one from 1935, which even had a Like button — continued to get even weirder. Radio manufacturers may have been concerned about protecting their industry, but as we now know with the wondrous hindsight of history, it was the movie industry that really should've been worried in the early 1930s.